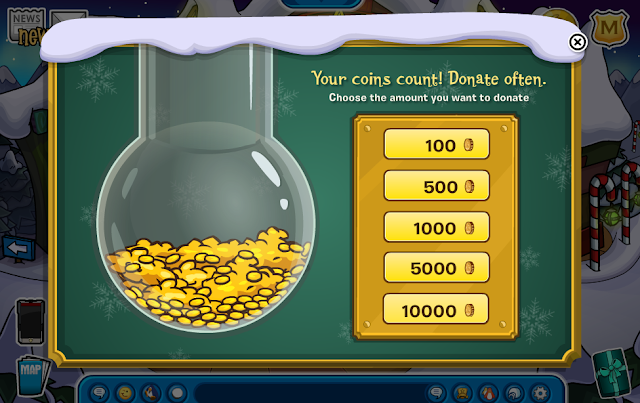 The Holiday Party has finally arrived on Club Penguin - so has Coins for Change! When you first login to Club Penguin, Rockhopper will greet you with a message and tell you what there is to do during the party. 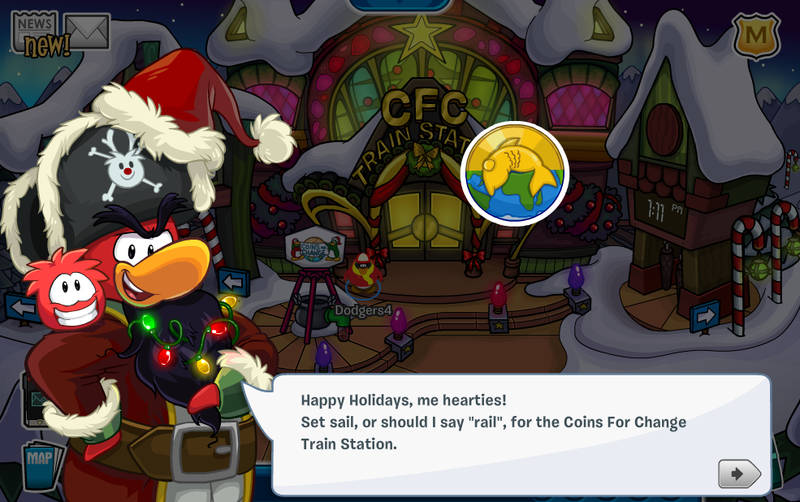 "Ye can hop aboard the train, collect coins, and of course – Donate!" You can view how much coins have been donated so far at the Snow Forts! Keep donating, penguins! Head to the Ski Village and into Santa's Lodge and sit down on the Big Green Cozy Chair! 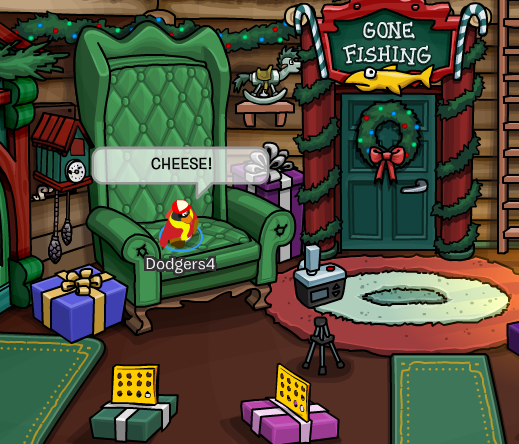 It will automatically take a picture of you on it and give your penguin a free background - The Big Cozy Chair. 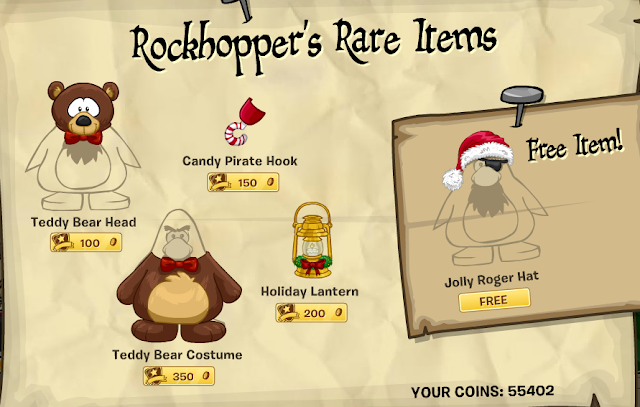 Captain Rockhopper has brought Rare Items for us penguins to purchase and has given us a free item to obtain! However, there are no hidden cheats in the catalog but there are really cool items! Choo Choo! Click on the Coins for Change sign next to the moderator badge. There you'll be able to purchase a train and ride on the railroads. Unfortunately, you can only ride the trains if you're a member. You can equip whichever train you would like. 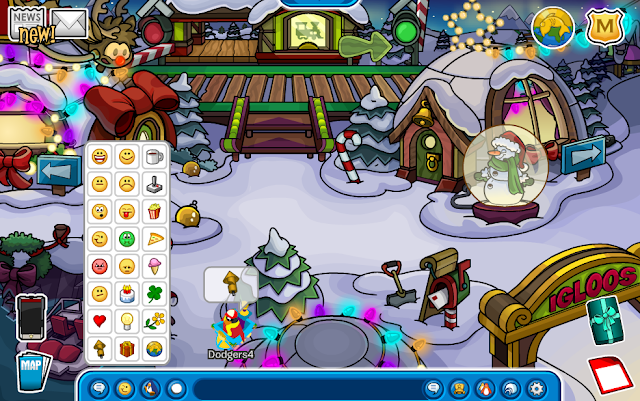 Emotions - Club Penguin has added three new emotions to the Emotes list. 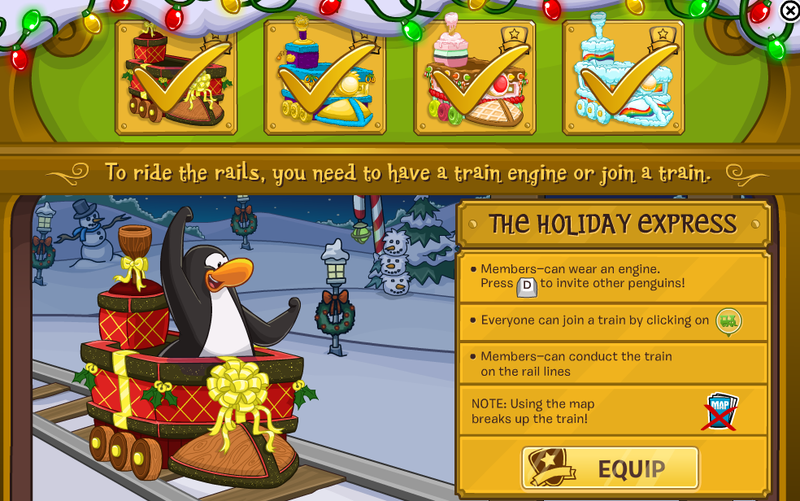 They added a whistle, a present, and a coins for change logo.